Our Missions Team facilitates our involvement in International Missions. 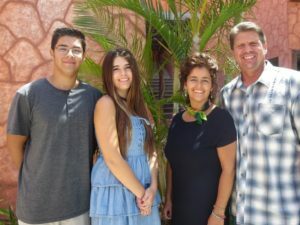 Desert Palms Church, hosts missionary speakers from different parts of the world throughout the year and encourages the congregation in considering the call to missions, and be involved in short-term mission trips. Mike currently serves as the Director of the MTW West Coast Hub where he trains and mentors new missionaries from CA, AZ, & NV. If you would like to see more about this wonderful family and the work they are doing, please go to their website at www.pettengillmissionaries.org. Serving in Baja California with Mission to the World (MTW). The Boling’s ministry is centered in Bogota, Columbia and includes theological training, discipleship, and pastoral support. There is also a focus on mercy ministries as Columbia has the second largest number of internally displaced people in the world at four million, trailing only the Sudan. To support the Boling Family, (#10809) please send a donation to Mission to the World, PO Box 116284, Atlanta, GA 30368-6284 and also request a Boling prayer newsletter. Click here to view the Mission to the World website. Serving in Verona, Italy with Presbyterian Mission International. After spending three years in the city of Ferrara, Joel and Jessica are now in the city of Verona. Verona is a fairly large city in northern Italy best known as the hometown of Romeo and Juliet. Although there was historically a Protestant presence in the city, currently there is little in terms of Evangelical witness. 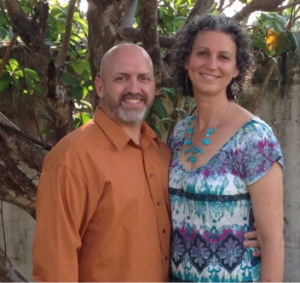 Joel and Jessica moved to Verona to plant a gospel-centered Presbyterian church. They are also conducting Bible studies for the International Students/University ministry. Click here to see more about the Rinn’s Ministry through PMI.